Winston was originally a young man who loved to draw. To become better at illustration, Winston volunteered as an experimental subject in a top-secret lab dedicated to creating super-soldier-sketchers. Scientists injected him with a serum that enhanced his artistic talents beyond that of an ordinary human. 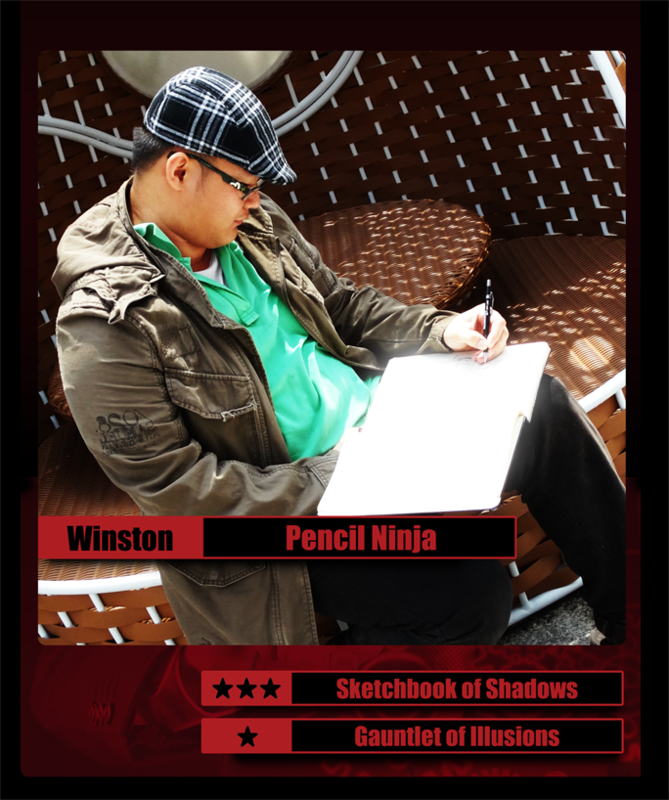 Winston then trained to wield the indestructible Sketchbook of Shadows to create great-looking art and the Gauntlet of Illusions to further enhance his artworks digitally. While sketching penguins in Antarctica, Winston was caught in a blizzard and disappeared for forty days. The Gametize team, seeking out this talented illustrator, found him frozen in a block of ice, still clutching his sketchbook. After being defrosted by the team, Winston agreed to join them as he was curious about how he can combine his artistic talents with gamification. Winston also found himself drawn to the speed of the Gametize platform, which helps people create games in 5 minutes. Currently studying Computer Science in NTU, Winston challenges himself to draw even faster as he works in Gametize, where work moves at the speed of fun.